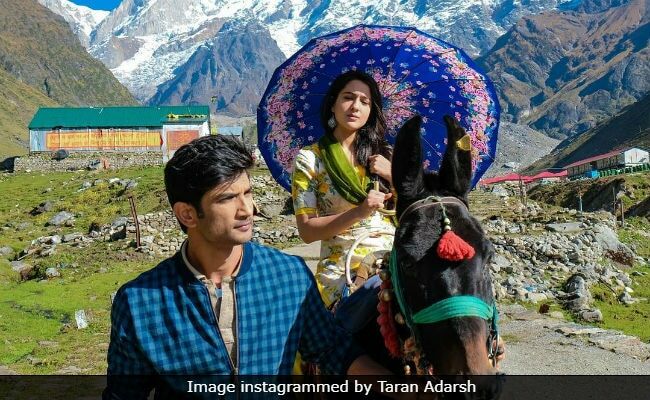 Kedarnath director Abhishek Kapoor is no stranger to ups and down in his career. If Kai Po Che! and Rock On established him as a director of substance, Fitoor brought him down with a thud. But now with his new film Kedarnath, Abhishek is riding high again. He speaks about the ban (on the film) in Uttarakhand and the film being accused of promoting "Love-Jihad". Ques: What do you have to say about Kedarnath being banned in Uttarakhand? Abhishek: It is very upsetting. How can they do this? When the government has cleared it, the whole country is watching it, how can they stop my film? Uttarakhand is an integral part of the country. What happens to my freedom of expression? Ques: Just days before the release of your film, someone filed a PIL against it. Should there be more stringent laws against nuisance litigation? Abhishek: More than more laws, the ones that exist should be enforced more effectively. I am very happy with the laws of the country. And I am most willing to work within the parameters of the law. But those parameters should be made workable. Ques: Is there a sense of satisfaction at the end making Kedarnath? Abhishek: Oh absolutely, because I had nothing more to give to this film. I completely believed in it and I gave all of myself to the film. The feeling of satisfaction after you are consumed by a truthful creative process is almost like a pilgrimage in itself. I feel cleansed after making Kedarnath. Ques: What do you have to say about those who accuse the film of promoting Love-Jihad, whatever that means? Abhishek: What can I say about assumptions that were based on a 2-minute trailer? People are reacting out of their own insecurities. Dangerous assumptions such as these are made when certain sensitive ideologies are played around with or have been violated before. People who make assumptions without seeing the film must be stopped. The censor board has cleared our film with just two cuts. Isn't the CBFC (Central Board of Film Certification) the final authority on the content in cinema that goes into the public domain? Ques: Would you say the sensitivity about inter-religious relationships is misguided? Abhishek: I would say we need to take a more mature view of the matter. Kedarnath is a clean honest attempt to look at the devastation that the people there in Uttarakhand suffered after the 2013 floods. They are yet to recover from the shock. My film is small gesture of healing for a people who lost everything and still had the resilience to bounce back. So many lives and families were destroyed. As a responsible filmmaker, I wouldn't dream of making an exploitative film about their misery. Ques: How did the idea of doing Kedarnath come to you? Abhishek: After making Fitoor, I was wondering what to make next. I began travelling to explore ideas. When I went to Vaishno Devi, I became familiar with the world of "pithoos" (porters) - these young men who carried pilgrims on their backs to the top of the mountain. Ques: You are being condemned for showing a Muslim pithoo? Abhishek: But that is very much the reality. They are at Vaishno Devi, Amarnath, Kedarnath... They do their job with utmost sincerity. And what could be more gratifying for a pilgrim than to be taken to the purest place by a Muslim. That's how we are as Hindus. We have an all-encompassing cultural tradition. Our ideology is such that it assimilates all. 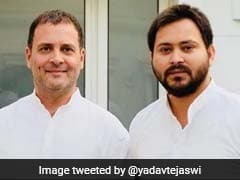 If you are a Shiv Bhakt you would know how He swallowed poison to save the world. Har Har Mahadev means there is God in all of us. Why can't we accept the sheer acceptability and inclusiveness of our religion? This who we are. When I spoke to Salim Saab (writer Salim Khan), he observed that 40 years ago there was no Hindu-Muslim issue. It is the politics of the nation that has brought this divide into our culture. Ques: But surely when you have a Muslim man and Hindu girl falling in love at a Hindu pilgrimage spot, you know some elements will be provoked. Abhishek: I have full faith in the system. For all its faults, the Indian system of governance works for us, and I have full respect for it. Even the Censor Board...I may disagree with censorship being implemented on works of art. But then India is a country with several contrasting sensitivities. These have to be dealt with in a special way. We have to trust the Censor Board. Ques: The 2013 deluge in Uttarakhand is woven organically into the plot? Abhishek: This is how it must have happened in the real life. Everyone has issues, personal political cultural and communal. And then something like this (the deluge) happens and all the issues come down to zero. Mankind becomes one. Ques: Sara Ali Khan has made a big splash in the film? Abhishek:Kedarnath has a very strong part for the female protagonist. And then Sara is fresh. And she has so much to give to the camera. She needed certain guidance and Sushant helped her a lot with her performance. People like her, they like the film. Whatever has gone into the film has gone with much thought. We've gone through a long struggle to ensure the film reaches the theatre, come what may. Ques: How difficult it was to recreate the 2013 deluge of Uttarakhand? Abhishek: We planned every shot in detail. There are so many people in our team and they all worked so hard to make the film look authentic. As far as the recreation of the floods goes, we didn't have the budget of a Hollywood film. We can't. Though the special effects in the floods sequence are essential, they do not anchor the film. We made Kedarnath to tell a story, not to use the floods as technical gimmick. I feel there is an old-school feeling to the film. It's a theme never done before. But the people and culture it addresses haven't changed over generations. Cinema has to mirror society. I don't make films to take them only to international film festivals. I make them so they can connect with the people whom they portray. Ques: The deluge in the climax reminded me of Raj Kapoor's Satyam Shivam Sundaram. Abhishek: Ever since my film came out, a lot of people have been finding this similarity. I saw Satyam Shivam Sundaram long ago. I have no idea if I was influenced by it. Ques: You won me over with that amazing reference to Lag Ja Gale. Abhishek: That is Lata Mangeshkar. Even an opportunity to pay her a tribute is very big thing for me.